Firstly, I want to say I was a little disappointed with this recipe that I cooked as part of my 2008 Food Challenge to try out East African cuisine. Maybe I did something wrong in the cooking process, but the end result just didn’t do anything for me. Don’t get me wrong, it didn’t taste bad, but it certainly wasn’t as good as some of the other East African dishes I have made (my favourite is still the delectable Yasa Tibs). Here it is, for better or worse. A dish which is edible, warming and filling but just didn’t ignite fireworks. 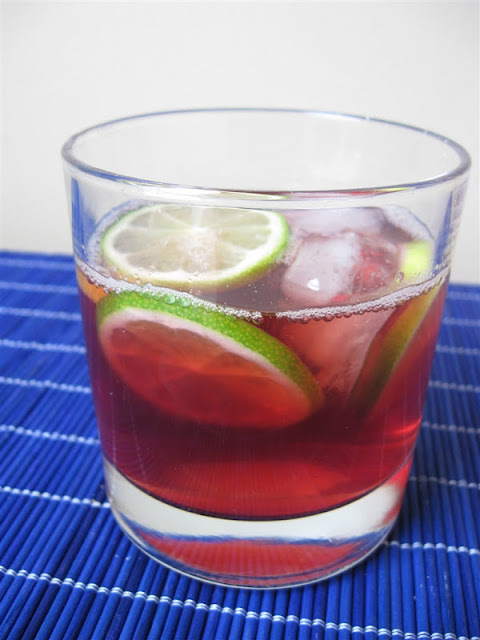 Recipe from Celtnet. Serves 4 as part of shared meal. 1. Heat the oil in a frying-pan and fry the onions light golden. 2. Add the berbere and the tegelese tesmi (and water if necessary) and simmer over a low heat. 3. After 10 minutes, add the ginger and garlic. 4. After 5 minutes add tomatoes, salt and pepper. 5. After 15 minutes add the meat and simmer until the meat is cooked (add some water if necessary). 6. 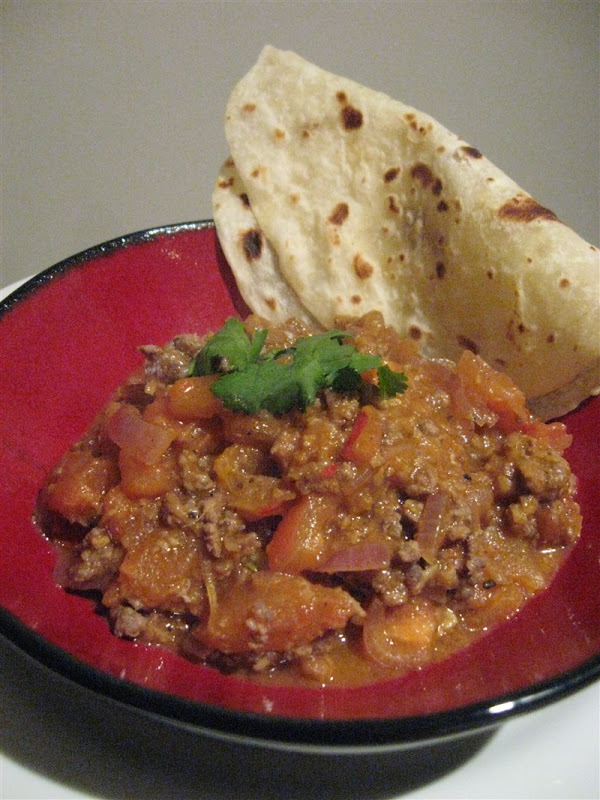 Serve hot with with injera. 1. Put the butter and the water in a frying-pan and heat them until the butter has melted. 2. Add the other ingredients and simmer the mixture on low for 30 minutes, until the mixture stops skimming and the butter is clear. Do not stir the mixture. 3. Sieve the butter and allow to cool in a sealed jam jar. Eritrea is a tiny East African country of over 4 million people with a long and distinguished history. Bordered by Sudan, Ethiopia and Djibouti, it has a long coastline along the Red Sea, directly opposite the shores of Saudi Arabia and Yemen. In Biblical times, Eritrea was known as the lavish land of Punt where Egyptian Pharoahs would launch expeditions to obtain incense and exotic animals skins, but Eritrea’s historical significance extends even further, to over 1 million years ago, with the discovery of a hominid skull linking Homo erectus and archaic Homo sapiens. Eritrea, along with Ethiopia and Somaliland, was part of a mismanaged Italian colony and after the Italians left Eritrea found itself annexed by Ethiopia in the 1960s. War broke out and ended in 1991 with the independence of Eritrea. There have also been discoveries of obsidian tools over 125,000 years old, used to harvest marine life by the hunter-gatherers of the time. The Aksum people of Eritrea converted to Christianity in the 300s making them the second official Christian state in history (Armenia was the first) and the first to mint coins with the cross symbol. Beginning in the 700s, the Beja began to dominate the area and introduced Islam, making the country's current division about 50% Moslem and 50% Christianity. The Tigrinya and Tigre people make up around 80% of Eritrea’s population, while Afro-Asiatic ethnic groups such as the Saho, Hedareb, Afar and Bilen are believed to descend from the oldest inhabitants of the Horn of Africa. Here I am celebrating Thanksgiving with a memory of my paternal grandmother. Lois Larue Breakall was born in 1922 in McKeesport PA into a family who had lived in Pennsylvania since the mid-1700s (mostly Fulton County). She was proud of her heritage and introduced me to the genealogical research that led to my grandfather’s (her husband’s) ancestors in eastern and central Europe. Grandma served in the Air Force during WWII and was a strict Baptist her entire life. She also happened to be an excellent cook and after my father migrated to Australia one of the things he missed most about America was Grandma’s cooking. 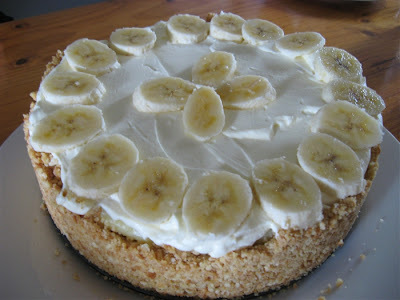 One of Dad’s favourites was Grandma’s Banana Cream Pie. As a kid he’s talk about this mythical pie and conjure up such vivid descriptions of flavours that I could almost taste it too. When they would visit us in Australia, or we’d go to the States to visit them, Grandma would make Dad and all of us Banana Cream Pie. 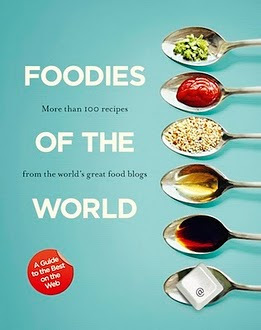 That’s why I chose it as one of my Food Memories for my 2008 Food Challenges. A week ago Dad and my Stepmum came to visit us, so I tried to replicate Grandma’s pie. Unfortunately I didn’t have time to make a true tart base and had to use cookie crumbs, but otherwise it was just as we both remembered. As my Stepmum pointed out, Dad would probably just prefer the custard, banana and cream without the base anyway! 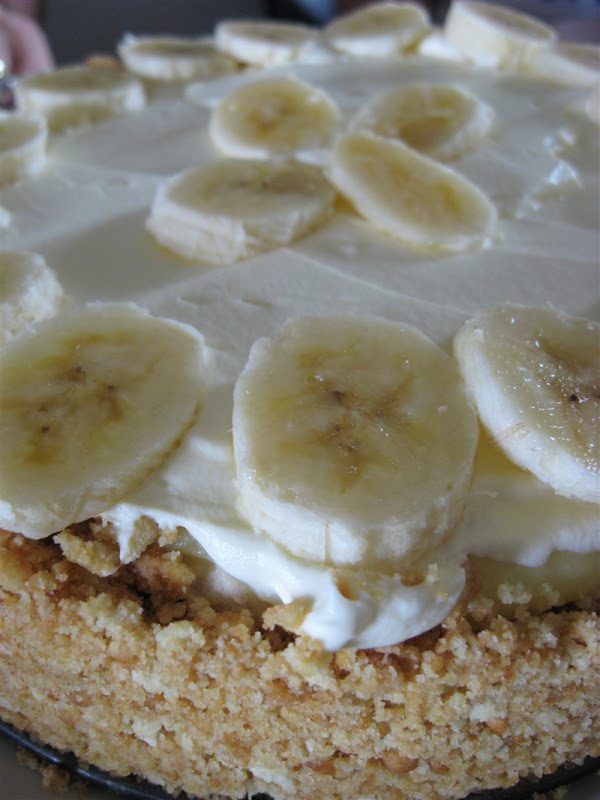 The most important part of making a Banana Cream Pie is balancing out the sweetness of the custard and cream and using plenty of not-too-ripe banana. When people pass away we lose so much more than just their company. Grandma’s cooking provided sensory memories of home and family and good times that disappeared with her. I really value having recipes from her and my mother because when I really miss them I can cook something special and reach out to them through the flavours. Based on a recipe from Tartine via Tartelette. Serves 8-12. 1. Set the chocolate into a bowl. 2. Heat the heavy cream and icing sugar to boiling point and pour over the chocolate. 3. Let stand a couple of minutes then stir until fully incorporated and glossy. Cool to room temperature. Pour over the pastry shell and refrigerate. 4. Heat the milk, vanilla seeds and salt in a pan and bring to a boil over a medium heat. 5. In a large mixing bowl, whisk the sugar, cornstarch and eggs until smooth. 6. Slowly add half of the warm milk mixture into the egg and whisk constantly to temper them. 7. Add the remaining milk, whisking, and return the whole thing to the saucepan. 8. Cook until you get a thick consistency, whisking non-stop. 9. Remove from heat and pour into a bowl, let cool for 10 minutes and then incorporate the butter, one tablespoon at a time, until smooth . 10. Cover the surface with plastic wrap, directly touching the cream, then cool completely in fridge. 11. 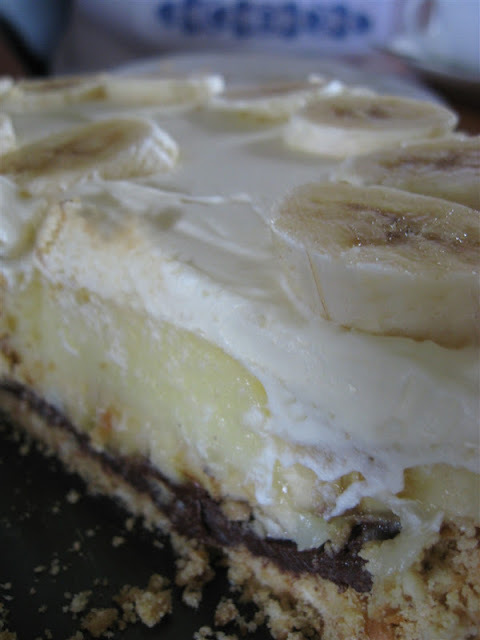 Cut 2 ripe bananas in medium-thick slices and arrange them over the chocolate layer. 12. Pour cooled custard on top of the banana. Refrigerate. 14. In a bowl, combine cream and icing sugar and whip until soft peaks form. 15. Top custard with whipped cream, decorate with bananas and serve with ice cream. 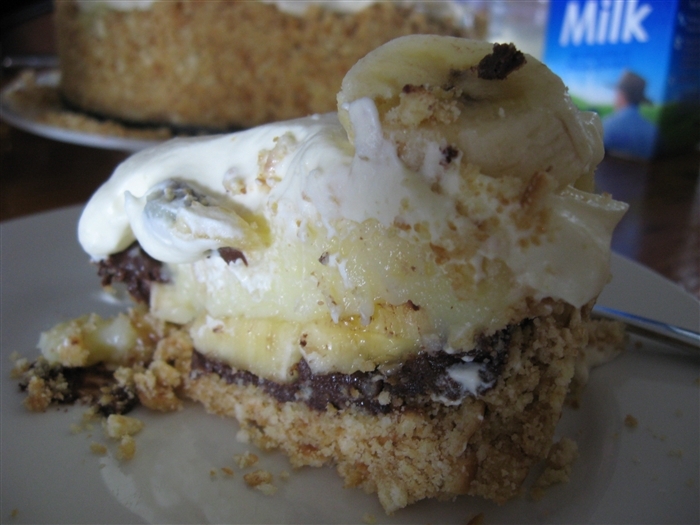 Note: cake without cream and banana top can be refrigerated to serve within 24hrs. 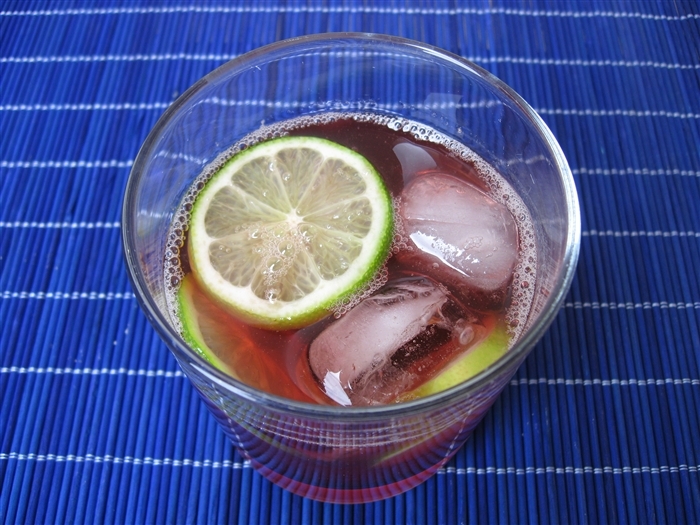 This Nigella Lawson recipe comes from straight from March 2007’s issue of delicious magazine. It was a really simple dinner to make and tasted wonderful. I had wanted to make it ever since I bought the magazine but Jonas kept insisting that vodka with pasta would be terrible. 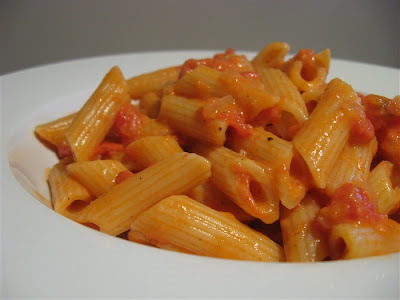 Having eaten Penne alla Vodka in Italy, I knew it wasn't some insane idea Nigella had cooked up on her own so I was confident it would be very tasty. I will never listen to him again. Recipe by Nigella Lawson from delicious. Serves 8 – 10. 1. Heat olive in a large frying pan over medium-low heat. Add onion, garlic and salt. Cook for 10 minutes until onion softens and begins to caramelise. 2. Add tomatoes and their juices. 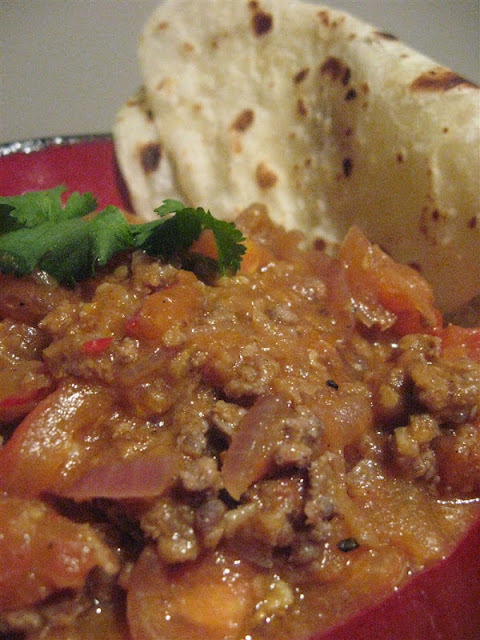 Simmer over medium-low heat for 15-20 minutes until the liquid has reduced and thickened. 3. Add cream, season well with salt and pepper, then remove from heat. 4. Meanwhile, cook the pasta in a large pan of salted boiling water according to packet instructions. 5. Drain pasta then return it to the saucepan. Add vodka, butter and salt to taste. Gently mix until butter has melted. 6. 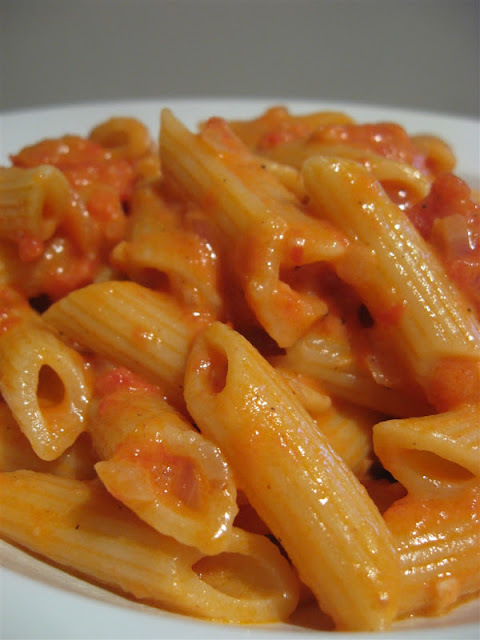 Add the tomato sauce and mix to coat pasta. 7. Transfer to serving bowls and top with parmesan. This is my contribution to Ruth’s Presto Pasta Nights, an event I love participating in but unfortunately I haven’t been eating much pasta or noodles lately. This week it's hosted by Nilmandra of Soy and Pepper, a blog I hadn't heard of before but through this event I have now wandered through many of her posts and become a big fan. It seems like ions ago when I disliked oysters. It wasn’t though. 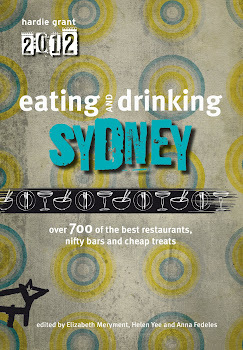 The moment I realised I loved oysters was lunch on the 3 of October 2005 at Otto Ristorante in Woolloomooloo (yes, that is a real suburb in Sydney). I wasn’t going to try the slimey things, since every time I’d done it before I’d wanted to wretch, but Fabio made me do it. Apart from being 50% of the team that introduced me to my husband, it’s the best thing he’s ever done for me. Since then I’ve been mad for them. Crazy. Loco. A year later I enrolled myself in a forum devoted entirely to their worship. So, you could say I’m a bit of an oyster fan now. With that in mind, you’ll understand why my knees weakened when I first saw this recipe in Gourmet Traveller and why I made it my top priority to devour it as soon as possible. 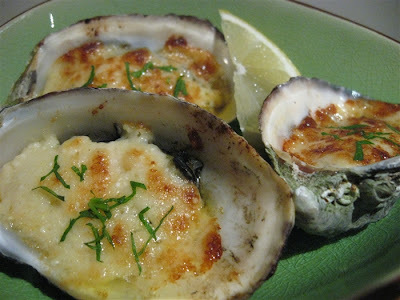 I love natural oysters, but in the colder months they are superb grilled. 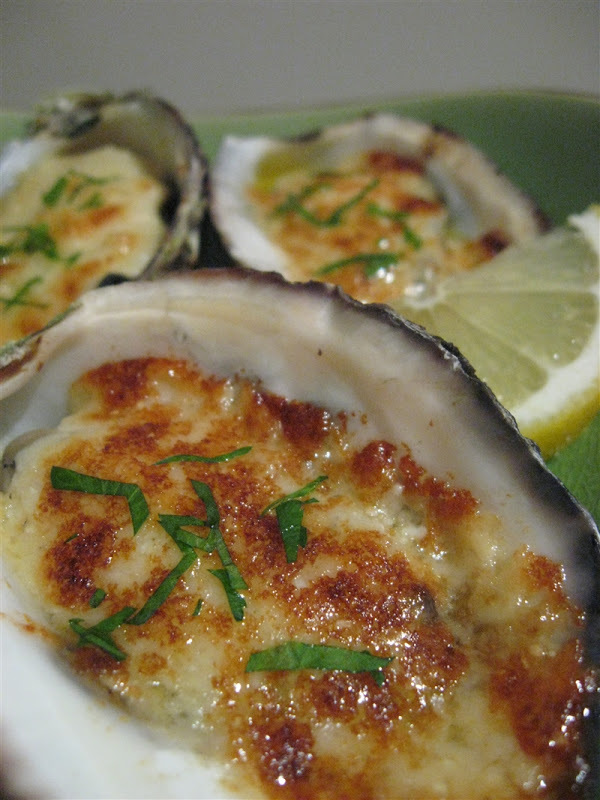 I also think parmesan is a perfect match for grilled oysters because it’s equally strong, salty and can hold its own against the molluscs. And with two punchy ingredients the only thing to do is bring out a third: horseradish. Let the battle begin! So, if all that rambling wasn’t clear, it was a great recipe. I’ll make it again. Recipe by Steve Rofe at Café di Stasio. Serves 4. 1. Combine butter and 125gm parmesan in a bowl, rub in butter with your fingers. 2. Gradually add horseradish and combine with your hands until pliable. Season to taste. 3. Preheat oven to 230’C. 4. Top oysters with enough butter mixture to fill. 5. 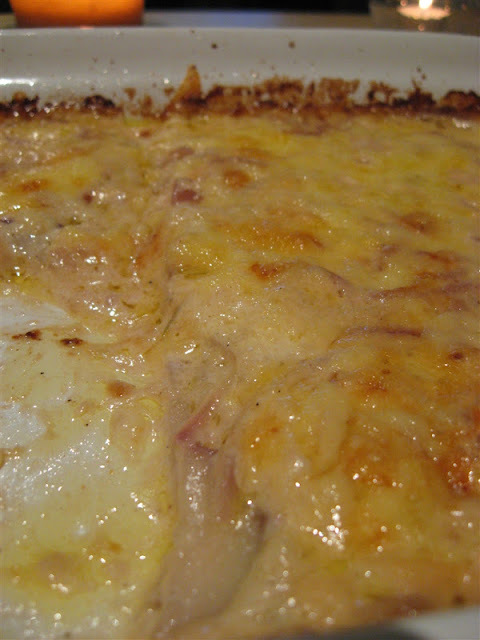 Place in a deep roasting pan, scatter with remaining cheese and bake until dark golden (15-20 minutes). 6. Scatter with parsley and serve with lemon. Note: If fresh horseradish is unavailable, substitute with 150gm jarred horseradish. 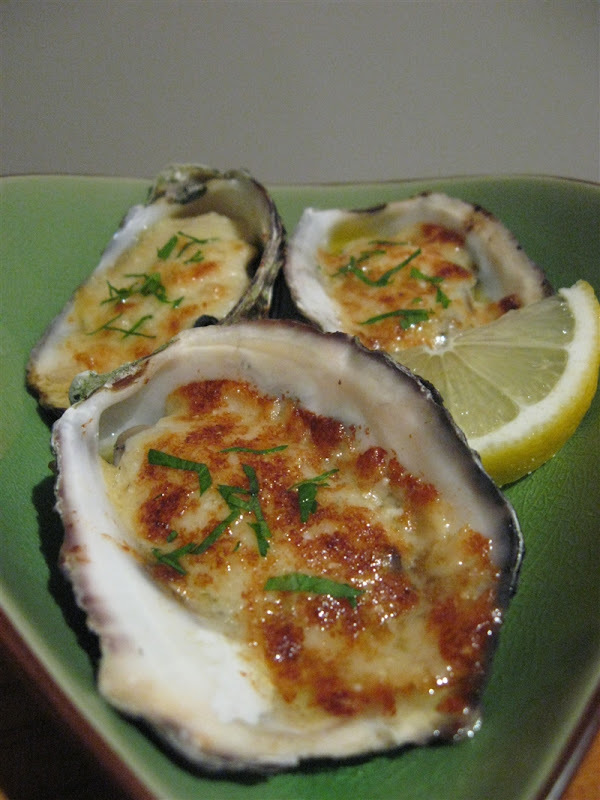 If you can’t get hold of Tassie Pacifics, use any large oyster. Horseradish (Armoracia rusticana, syn. Cochlearia armoracia) is a member of the Brassicaceae family alongside fiery counterparts such as mustard and wasabi, as well as meeker cabbage. It’s believed that horseradish was native to eastern Europe and western Asia. The Greek sun god Apollo was convinced by an Oracle of it’s values, murals of horseradish were forever frozen in the ashes of Pompeii, Egyptians recorded their uses for it, Shakespeare waxed lyrical in his literature and Jews use it to celebrate Passover. Fresh horseradish should be used quickly or steeped in vinegar to prevent bitterness caused by contact with oxygen and heat. Although the leaves can also be used, the most prized part of the horseradish is the white, tapered root which produces allyl isothiocyanate (mustard oil), creating the eye watering, nose tingling flavour. In Japan, expensive wasabi is faked by dying horseradish green, although this practice takes place more often outside Japan and is therefore known as seiyōwasabi or "Western wasabi". Horseradish’s mustard oils make it an antibiotic and 100g of raw horseradish delivers some 79.31mg of vitamin C.
An enzyme found in horseradish has become important to molecular biologists and biochemists researching antibody detection and horseradish has also been known to have positive effects on ingrown toenails, flatulence, digestion, urinary tract infections as well as respiratory and sinus infections. It is also believed that a diet high in Brassicaceae family members leads to a reduced risk of gastrointestinal cancer. Horseradish tastes wonderful with seafood and lovely with roast beef. There’s nothing I love more than a salad of rocket, potatoes, roast beef and a horseradish dressing. This week, our Weekend Herb Blogging host is Siri from Siri's Corner. Check out all the goodies on her blog. This dish is a shout out to all my friends in the Northern Hemisphere who are entering winter and the kohlrabi season. I should be posting about the homemade lemonade and Creole barbeque chicken I ate for lunch on this warm sunny day, but I felt sorry for my Northern pals and decided sharing some food love would ease the guilt. This dish is a great indulgent side for dinner parties and the recipe really allows the sweetness of the kohlrabit to shine through. Recipe from Riverford Organic Vegetables. Serves 4. 1. Preheat the oven to 190’C (375’F, gas 5). 2. Peel the kohlrabi, cut in half and slice thinly. 3. 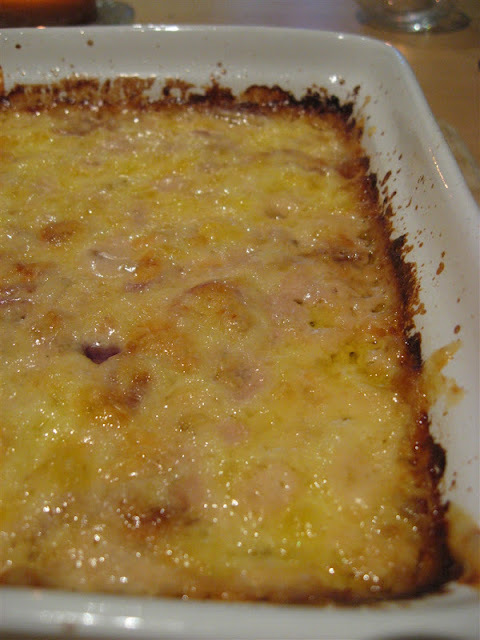 Place half in a gratin dish and sprinkle with half the parsley and half the lemon rind. Dot over half of the butter then season with salt and pepper. 4. Layer in the remaining kohlrabi, parsley, lemon rind and butter. 5. Pour over the cream then top with the grated cheese. 6. Bake for 60 minutes or until kohlrabi is tender. Cover with foil if cheese is burning. 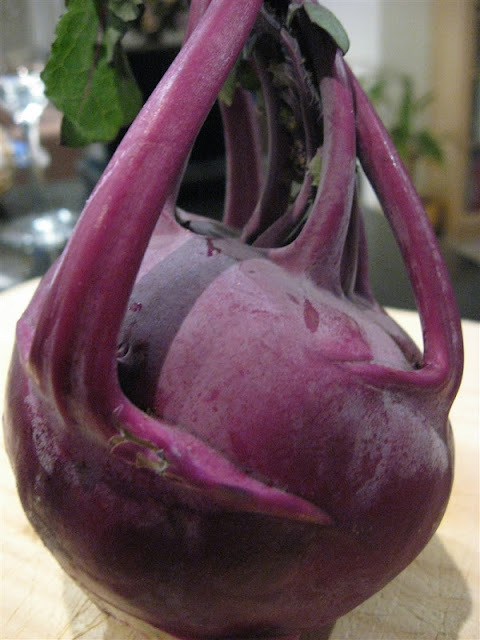 The name kohlrabi comes from two German words meaning cabbage and turnip. Bred from a wild cabbage ( just like broccoli, cauliflower, kale, collard greens and brussels sprouts), the kohlrabi was engineered through artificial selection. The flesh is crisp like an apple, with thin skin and a flavour similar to radish and broccoli stems. Luckily for kohlrabi, the flesh is quite sweet making it a great addition to stews and even good to eat raw. The fleshy bulb grows above ground and can be stored in the refrigerator, unwashed, in a plastic bag for about a week. Although it’s edible, I peel the outer skin because I find its texture tough. If steaming or boiling, however, it’s best to peel after cooking. It’s a great winter vegetable and works perfectly in this unhealthy warm side dish. 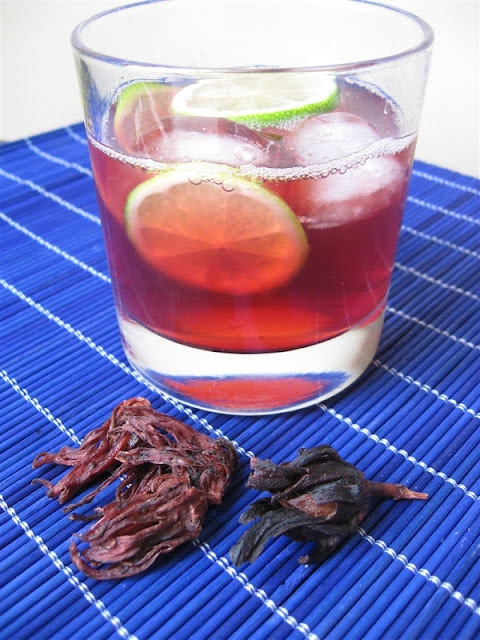 This week’s Weekend Herb Blogging host is Heather from Diary of a Fanatic Foodie. Be sure to visit her blog for the recap. When Meeta announced her November Monthly Mingle theme “coffee & tea”, she was very specific to warn people off making tea and coffee drinks as an easy way out. I decided I wanted to make something with earl grey tea, since I have disliked this particular tea until very recently. Suddenly my taste buds are changing and I adore the fragrance of earl grey while I’m no longer craving chocolate. I don’t know what’s going on! There are many marmalade recipes featuring earl grey infusions and I figured, since earl grey and orange seem to go so well together, they would make a good match in a fruit salad. The oranges were bright and fresh while the earl grey added fragrant complexity. 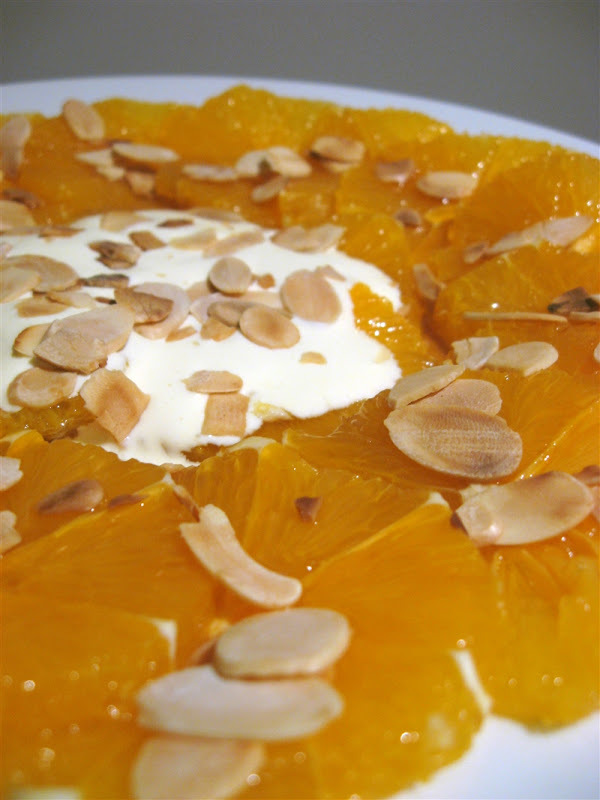 Almond provided an earthiness and enhanced the texture while the cream perfectly enriched the dish. 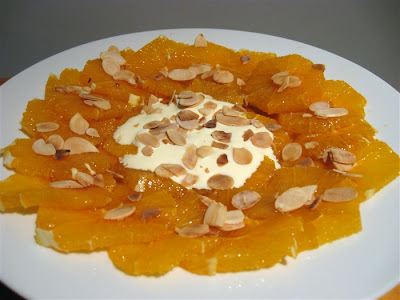 It was a tasty, simple and light dessert that you could eat on any occasion. 1. In a saucepan, place the boiling water over the teabags and allow to infuse for 30 minutes. 2. Discard teabags, add sugar and then cook over a medium heat until sugar is dissolved. 3. Bring to the boil, then reduce to a simmer for 10 minutes. Reduce syrup until thickened. 4. Peel oranges and slice into thin rounds, being sure to discard any seeds you come across. Arrange slices decoratively on a plate. 5. 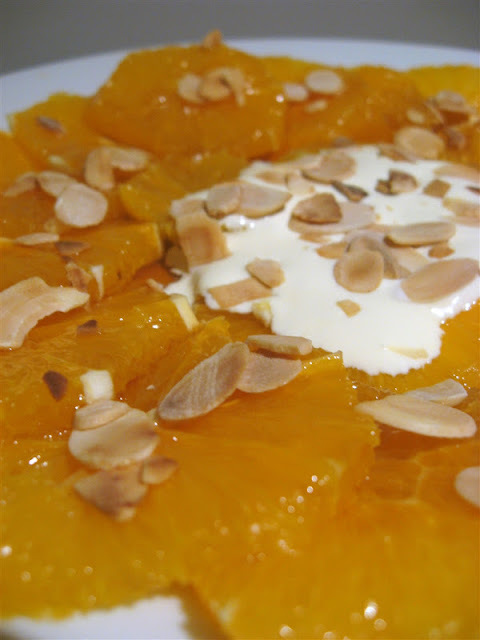 Drizzle oranges generously with earl grey syrup (there will be some leftover), top with cream and almond flakes. Anna's very own recipe. Makes 2. 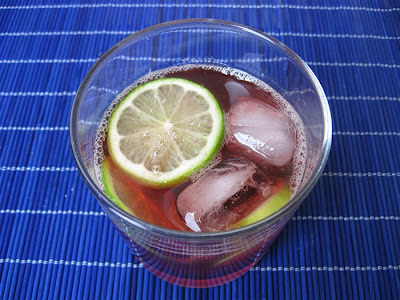 Shake with lots of ice and double strain into martini glasses. Drink immediately. 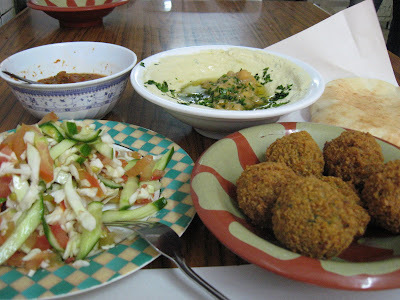 I have blogged about so many overseas trips but it just occurred to me that I never blogged about my Israeli food experiences from May 2007! I am well overdue! 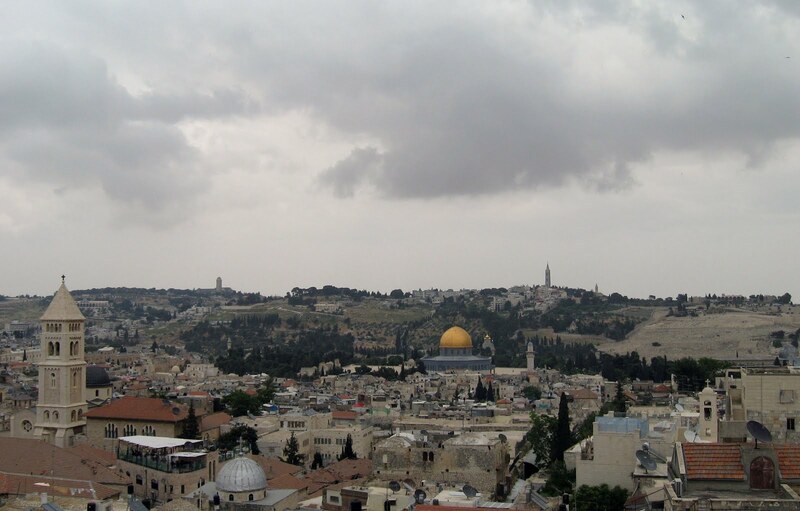 I was very fortunate to visit Israel on a business trip where I managed to see the bustle of Tel Aviv, the quiet charms of Jaffa, Arab food markets in Ramla, agricultural and industrial kibbutzim in the Golan Heights and Galilee, and the crowning jewel: Jerusalem. 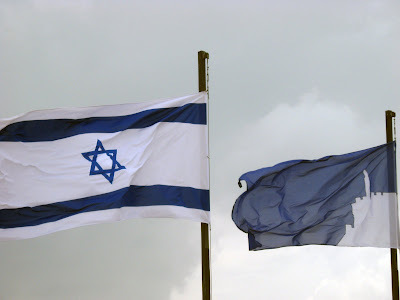 Such a new country is naturally comprised of many migrants and Israel is certainly a multicultural environment. 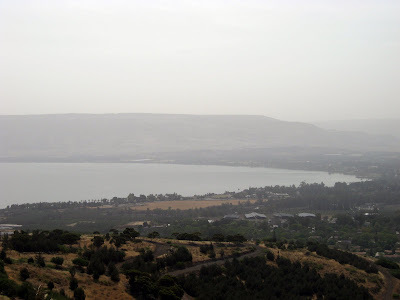 Jews from Africa, Middle East, India, Europe and the Americas have melded (or not) with Armenian and Greek Christians, local Arabs and other indigenous groups such as Samaritans (yes, these people aren’t just a Biblical footnote). With them have come a multitude of interesting and unique culinary habits. For the most part, Middle Eastern and European recipes prevail. Falafels, hummus and tahini are everywhere, as are savoury pastries and breads for Shabbat. In Jerusalem the large Armenian population have also coloured the food landscape and I tried some gorgeous lamb and yoghurt dishes (certainly not Kosher). Israelis always claim their falafels are the best in world and I was initially sceptical, but I have to say they were the best I’ve ever tasted with crispy, brown crusts and soft, moist, green interiors. I wasn’t so keen on the local hummus, as they seem to use more tahini than the Lebanese styles I usually eat in Australia. Although I did try some interesting dishes of runny tahini with whole chickpeas that I enjoyed. 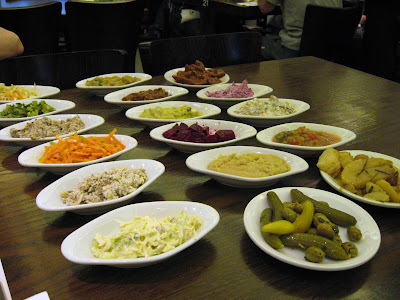 Israeli pickles were fantastic! And I mean fantastic! There were so many different kinds and they were all superb: mildly sour and salty with perfect crunchy textures. One of the best I tasted was a deep purple, soft ball which I think was a fruit of some kind (found out it's eggplant!). • Secular Israeli people were much more liberal, pragmatic and open-minded than we are led to believe by the news. This was true on almost everything, including Palestine, Lebanon and everything in between. From what they told me, it seems Jews outside Israel are more hardline about these subjects than people inside Israel, which really surprised me. • I felt safe the entire time I was there. Not a care in the world. Really. • There were less security checks in obvious places (airports, stations etc) and more security checks in random places (cafes, entertainment areas etc). I guess it’s a reflection on who the real terrorist targets are: civilians. 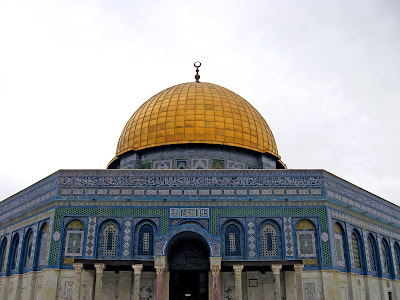 • The only time I got nervous was at the Wall when an old woman (tourist) started photographing people praying on Shabbat (a HUGE no-no) and a few Hassidic men got very, very angry at everyone and started chasing her. That was quite terrifying. • For some reason I imagined Israel to be very Western (European/American) but it definitely felt like a Middle Eastern country. • It seemed like a much more patriarchal society that I had expected. In general, women definitely seemed more submissive than the fiesty stereotypes on TV. • Muslim Palestinian women seemed to have less community-imposed social restrictions than Orthodox Jewish women. That really surprised me considering how the media portrays women in Islam. Perhaps that's a reflection of my own naivety about both religions. 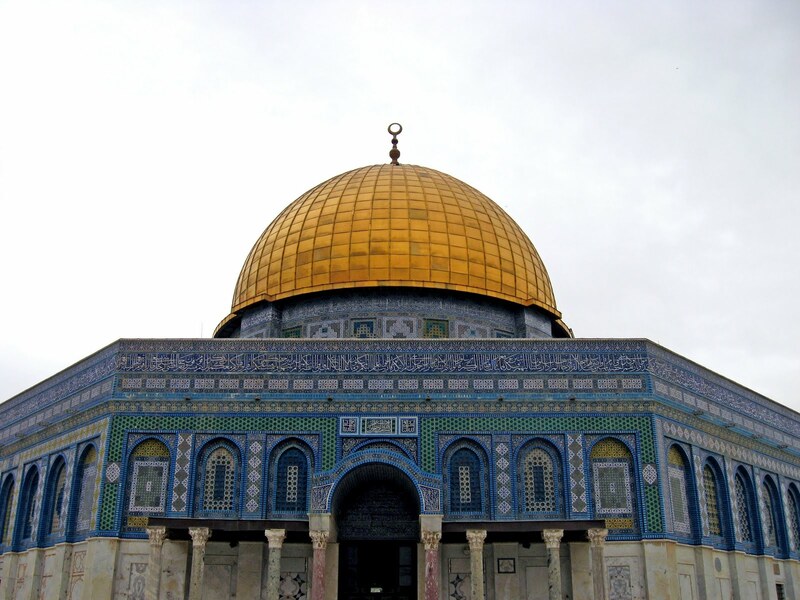 • After spending time in Jerusalem, the three religions of Christianity, Judaism and Islam don’t seem very different at all. Perhaps I’m being trite, but from an outsider's perspective they’re so alike I can’t understand what all the fighting has been about these last few thousand years. • The country was comprised of soooooo many ethnic groups. It's a visual feast. • There were soldiers stationed at every bus stop and teenagers wield automatic weapons. It’s quite surreal to see a red-head 18yr old girl careering around on top of a jeep with a massive machine gun in her hands. • There were so many half-constructed buildings around the country. People had started to build houses and then run out of funds (or security) and abandoned them. It made areas seem like ghost towns. I know this isn’t uncommon in the Middle East, but I guess this goes back to my incorrect assumptions that Israel was going to be more like Europe or the US. • The Armenian Orthodox priests I met in Jerusalem were very friendly. The Armenian Quarter had warm vibe and I felt quite comfortable there despite it's ultra-traditional slant. Overall, I had such an enjoyable time and all the people I met (Jews, Muslims and Christians) were all warm, friendly and inviting. I highly recommend visiting Israel if you can. 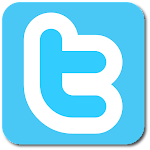 Following are some of the scenic and foodie highlights. 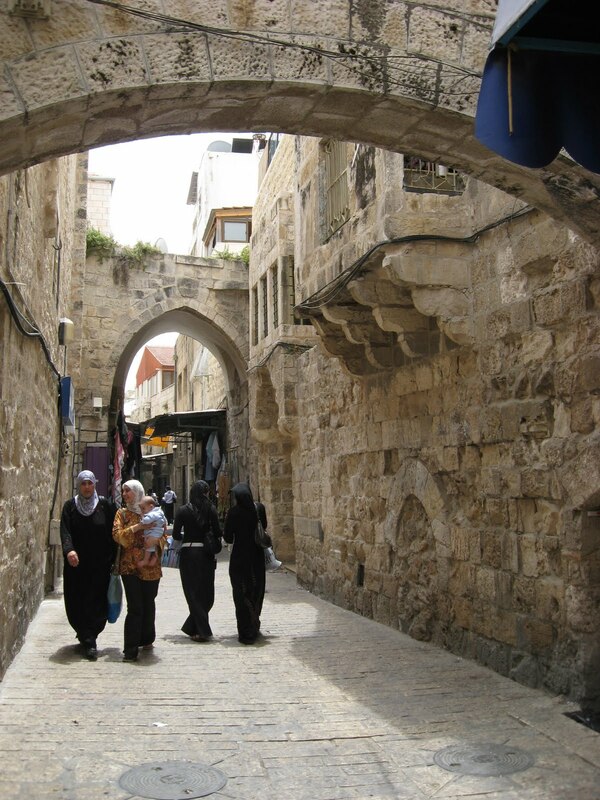 A typical alley in the Jerusalem’s Old City. This one is part of the Muslim Quarter. I got lost in the Muslim Quarter and surfaced from an alley-way at Damascus Gate. Clearly I looked out of place so a sweet old man, selling these semolina & almond cakes, gave me free dessert and some directions. 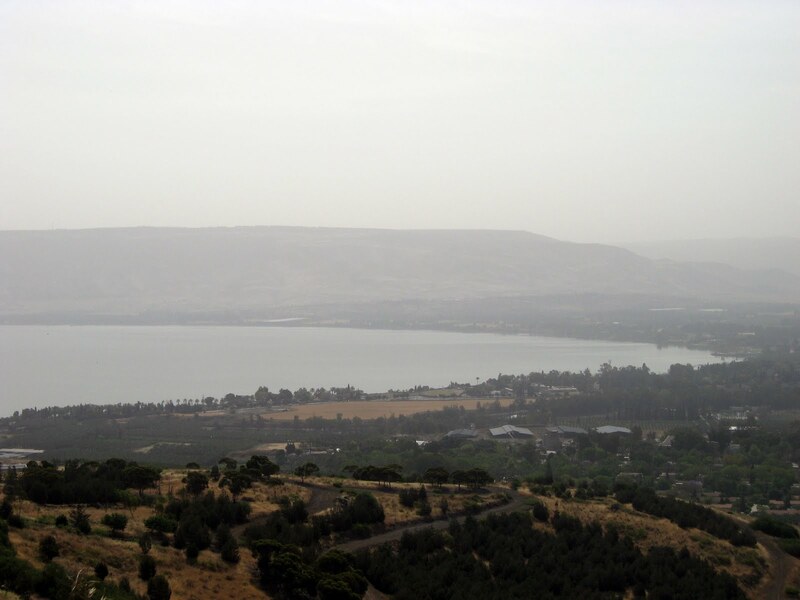 Northern Israel, near the Sea of Galilee and borders with Jordan and Syria, consists of rolling hills and beige colour schemes. 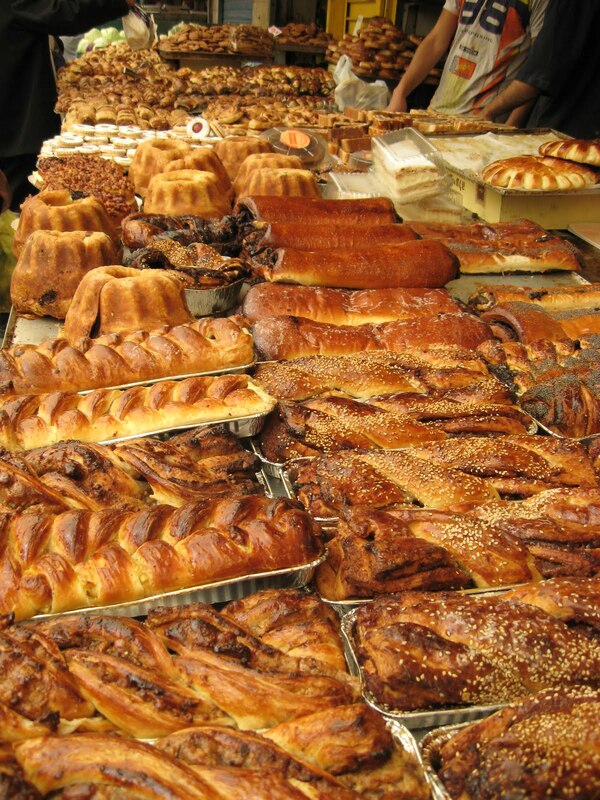 At Jerusalem’s Mahane Yehuda markets, European-style pastries are extremely popular among Hassidic families on Shabbat. The market was so vibrant and it was hard to decide what to buy. Souq spice shop with an amazing, elaborate decoration. They had everything in there! Tel Aviv beach culture. Just don’t take your laptop to the beach to do some work in the open air or gigolos might offer you some “company”, as my colleague unfortunately discovered. We went for dinner in Jaffa and decided to get some kebabs with salad. These are 17 of our 25 dishes we received as our salad course. It was so much food I couldn’t get over it. Clumps of dry yoghurt for cooking. mysterious dark purple pickle is, but it's my favourite. Turns out it's eggplant, . 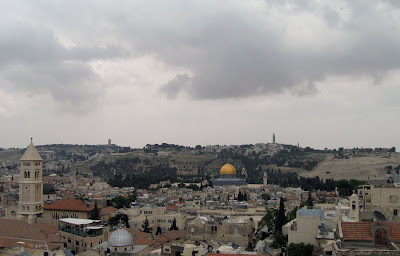 View from Jerusalem’s walls out to the newer part of the city. Lunch of falafels, chopped salad, tahini with chickpeas and a very delicious spicy sauce. 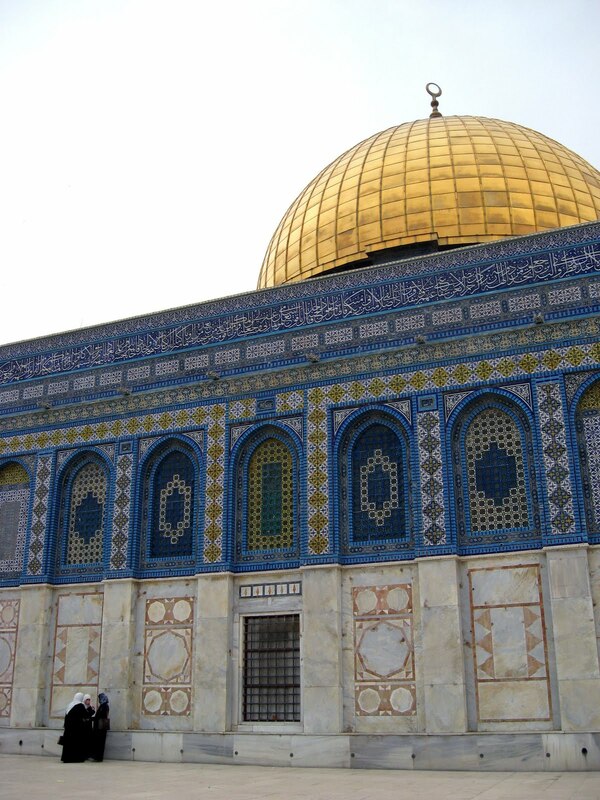 Beautiful Masjid Qubbat As-Sakhrah, or Dome of the Rock was finished in 691 and is the oldest existing Islamic building in the world. It’s also contentiously built on the Temple Mount, Judaism most holy site. Lonely Planet recommended the Armenian Tavern in the Old City where I ate this amazing Khaghoghi Derev. 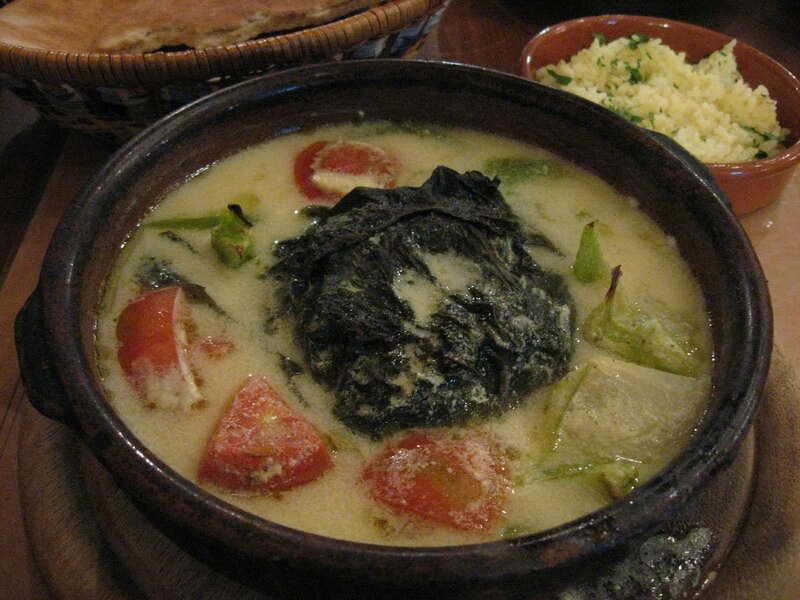 Minced meat is spiced then wrapped in vine leaves and served in a type of yoghurty broth. It was good. Armenian salad with yoghurt dressing. Those purple wedges are the pickle I mentioned earlier. My favourite all time pickle but I have no idea what it is. I've since been told it's eggplant dyed with beetroot juice. This young baker was up early making fresh pita and I asked if I could take a photo. Not only did he let me snap him in action, but his father gave me some fresh bread, hot from the oven. You’re not allowed to take photos at Shabbat because you’re not supposed to do work and pressing the button on your camera is technically work. It's also respectful not to as well, I suppose. But I did leave the square and took this photo of the Wailing Wall from a high rise very, very far away. It's the most my camera can zoom in (hence blur). The black figures are mostly Hassidic Jews, whereas the swirl of white is young Orthodox Jews singing and dancing in a big circle. 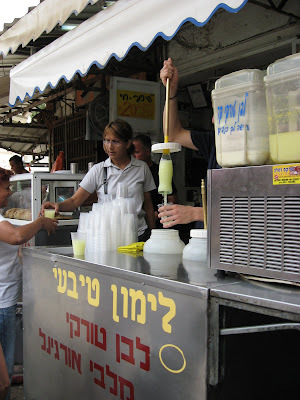 I couldn’t believe how many different flavours of halva there were. This dessert is made from sesame paste (tahini) and is almost like a slab of nutty, dense fairy floss.